Did you ever take inventory of your assets? I can’t recall a dental office ever taking a physical inventory. It is time consuming and expensive but it does give you the real value of your business and a good understanding of how much money is sitting on your shelves and in your draws. Start by reviewing you hand instruments because you may be surprised about how much money you have invested. Your Investment … I always said that in business you never have expenses, only investments. Hand instruments are the tools of a surgeon and an artist and quality matters. One simple Hygiene setup of good quality instruments runs $150.00 and up. Forceps run over $150.00 each and what about sharp explorers. 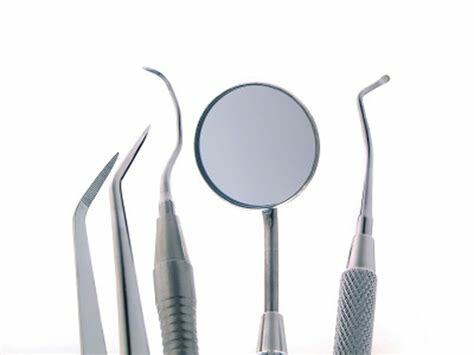 If you did an inventory of your business, excluding the dental equipment, the hand instruments would be over 15% of your reusable assets. This value deserves attention and maintenance is the key. Care & Maintenance … How does your team manage your instruments? Most dentists or office managers don’t have a clue. Are they dropping them into a germicidal bath like they’re loading a dishwasher or are they treating them with respect because they are expensive? Quality dentals hand instruments are specially designed for different operative situations. Poorly maintained instrument will loose there shape or sharpness, not preform properly and will need to be replace more often. Understand the instrument management process and the flash points that cause damage like an instrument bath, ultrasonic cleaner and a sterilizer. The Instrument Bath … When offices ask me about cold sterilization solutions for their instrument baths I explain that there is no such thing. An instrument bath is nothing more than a “holding solution” that prevents cross contamination. The strongest holding solutions are not necessary and may cause lesser quality instrument to degrade but the vapors that leak into the air are still toxic. The instrument bath is a place to store contaminated instruments before the ultrasonic cleaner and it should be covered in a well ventilated area. The Ultrasonic Cleaner … Rule #1 DO NOT use the machine when a patient with a pacemaker is in the office. Ultrasonic cleaners can protect or damage instruments depending on how they are used. Dumping everything into a basket allows the instruments to bang together causing metal fatigue and dulling. The best way to clean instrument in an ultrasonic is with a cassette system. This is an investment project because most offices do not have the right equipment. If you do not use cassettes, instruments should be rinsed, tied, and placed in the ultrasonic with an enzymatic type solution. After removal they should be rinsed again before placing them in the sterilizer. The Sterilizer … CDC guide lines are continually changing. The rules for handpieces has change dramatically over the past 2 years but we will discuss that at another time. Instrument guide line now call for the instrument to be completely dry but at the same time they want you to keep the clear part of the pouch up for a better sterilization process. We were always told paper up for better drying. Routinely retrieving wet instrument from a sterilizer signals a problem with your instrument management system and a workflow review should be done. Workflow Review … The entire clinical team needs to be involved when reviewing instrument management. Please feel free to contact me with any questions or concerns.